SCR104 MILLS LEGIS POWERS/FUNCTIONS - Requests the Louisiana State Law Institute to study and make recommendations regarding present Louisiana property law governing common interest ownership regimes. 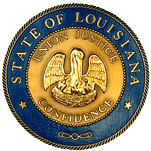 SCR105 JOHNS LEGIS POWERS/FUNCTIONS - Requests the Louisiana State Law Institute to study and make recommendations regarding Code of Civil Procedure Article 3121. SCR131 DORSEY-COLOMB LEGIS POWERS/FUNCTIONS - Requests the Louisiana State Law Institute to study and make recommendations regarding laws applicable to the rights of landlords and residential tenants.